San Jose claimed Kyle Wellwood off waivers on Tuesday, just one day after the St. Louis signed him to a one-year deal. As reported by TSN. The Blues signed him on Monday, and it started a 24-hour period of finger-crossing for Blues GM Doug Armstrong. 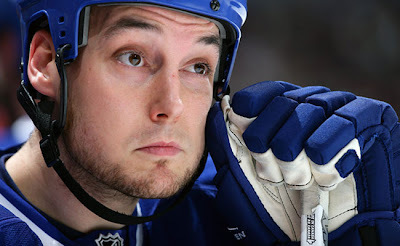 But Wellwood's stay lasted just the one day. The Blues suffered a similar fate in December when the placed Marek Svatos on waivers, one day after signing him to a one-year contract. The Nashville Predators claimed him the following day. 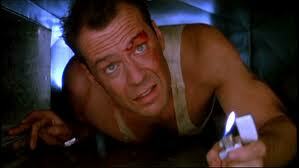 Like Officer John McClane, the Blues may be wondering "Why does this keep happening to me?" ... Not really, we are sure they know; but we had to look it up. In the event a professional or former professional player plays in a league outside North America after the start of the NHL Regular Season, other than on loan from his club, he may thereafter play in the NHL during that Playing Season (including Playoffs) only if he has first either cleared or been obtained via waivers. So, the Blues do the work of negotiating and signing and another team steps in and takes them away? Uh, yup. Clearly the rule is designed to eliminate any chance of "insider deals" or agreements between NHL clubs and players/teams in other leagues. St. Louis is close to the bottom in goals scored in the Western Conference, but they are still in the hunt for a spot in the playoffs, just four points out of the number eight seed, entering tonight's games. If they are unable to draw from outside of the NHL, look for the Blues to be a player at the nearing NHL trade deadline. They have been a bubble team the last few years, but have an aggressive management team that would like to win sooner, rather than later.